The open and light furnishings in the hotel restaurant create a welcoming atmosphere. Together with our hotel bar, we can seat up to 75 people. 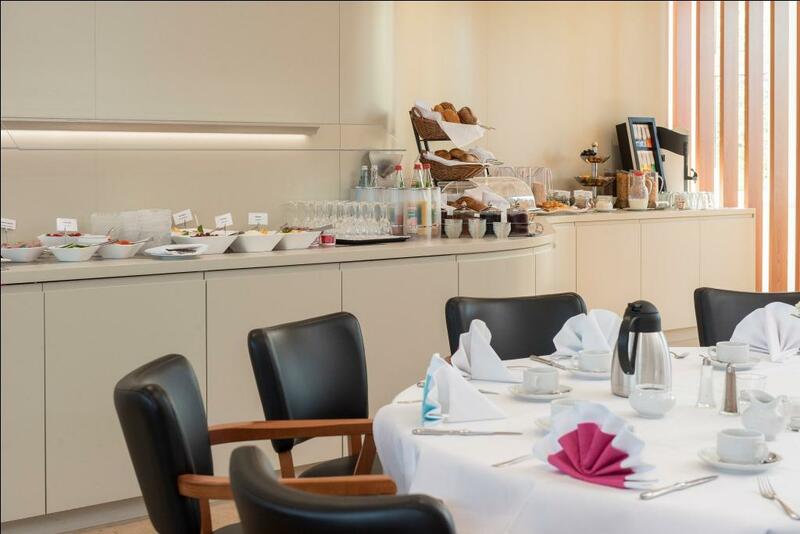 In the Best Western Hotel Rastatt’s restaurant we offer you a daily breakfast buffet, and in the evening we serve up delicious regional and international meals. You will also find classic dishes like juicy steaks and crisp salads on our menu. We are also happy to open our restaurant at lunchtime for business events and family celebrations at the hotel. Our charming bar team can whip you up a fancy cocktail or a cool beer from the region after an exciting day in Rastatt. Even wine connoisseurs are sure to find a nice glass to suit their tastes on the bar menu. The Best Western Hotel Rastatt’s bar is open until 01:00 am and of course also offers alcohol-free drinks.